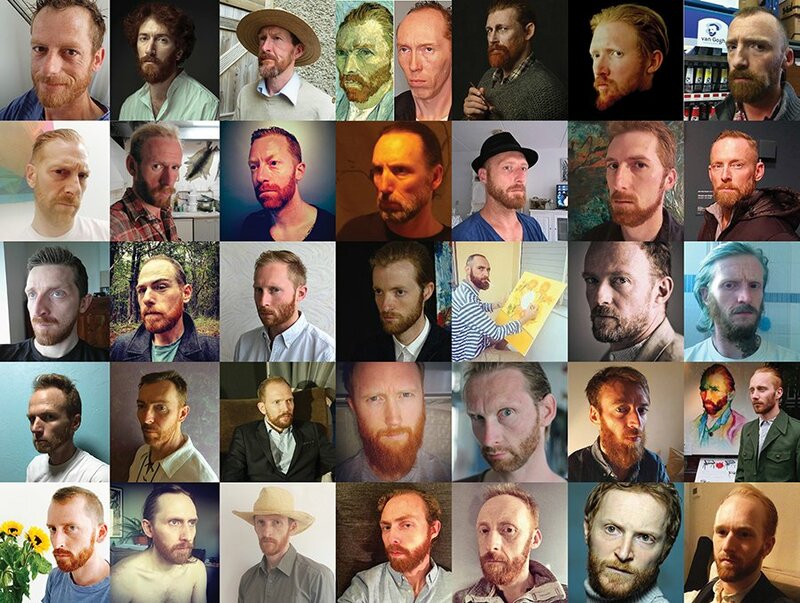 Daniel Baker, an actor from Dorset in the UK has won the prize of ‘the most accurate’ Vincent Van Gogh lookalike. 1250 people, from 37 countries entered the bizarre competition, with the winner picking up 5000 Euros. He will also have a bronze statue of himself displayed in a Canadian vineyard. Canadian author Douglas Coupland organised the event, most famed for the cult novel Generation X.
Coupland said for the ‘I am Vincent’ competition he spent months looking at Vincent lookalikes online but upon seeing Daniel knew immediatly he was the winner. "Suddenly there was this man - my Vincent van Gogh - hopping out of a taxi looking like he'd just stepped out of the year 1889’’, he was quoted. Van Gogh stuggled as most artists do initially in his career but eventually produced 2000 artworks including 800 oil painitings. One of his paintings ‘Irises’ sold in 1987 for just under $60m and is still the most expensive art sale in history. He was born in 1853, in Holland and is famous for removing his own ear in 1888 and then apprently committing suicide with a gunshot 2 years later. The competition’s winner, Mr Baker, from Christchurch, said he thought maybe he had won the competition when he was invited to Canada and they made a 3D scan of his head. He said: "They made a 3D scan of my head and then announced the prize at a special presentation.I was completely and utterly overwhelmed, ecstatic. It was a wonderful experience." A proud moment for sure with 5k Euros to boot. Good work!